It’s always nice to have extra gift wrapping supplies on hand. 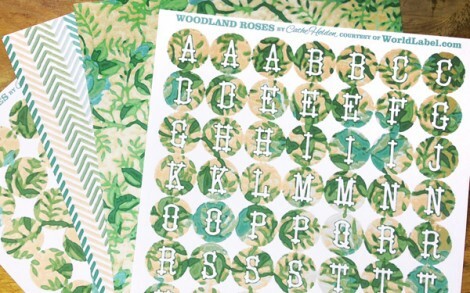 So, I’ve designed a vintage-style floral pattern background, stripe pattern, and floral and alphabet rounds to print onto full sheet and one-inch label stock to keep on hand for just that. And the best thing is that the color combination coordinates nicely with any inexpensive kraft paper or bags you may already have. 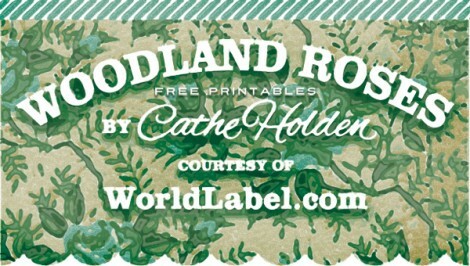 Stock up on full-sheet label stock and one-inch circle label stock and read about all the things you can do with them over on my WorldLabel.com blog post! From there, you can download the four different PDF files for printing up your own stickers and embellishments. This entry was posted in Free digital downloads, Free PDF files, Paper Tape, WorldLabel.com. Bookmark the permalink. You design the most lovely things! 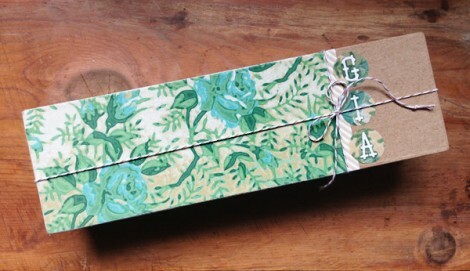 These are so pretty and I know I will enjoy using them. Thanks so much!! Love the pattern, so beautiful! Really great resource for designers! So happy to have come across it. Keep up the great work!